One of the criticism is the setup for UV coating is more time consuming than lamination. While this could be true, if you are properly maintaining the machine, it should not be a problem. The other comment was pretty correct, though, you get what you pay for. 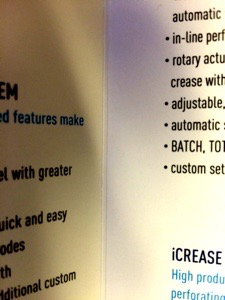 If you are buying low-cost UV coating fluid, you are going to get low-quality results. So, make sure you buy a quality UV coating fluid. Many of the answers on the discussion came from individuals in the lamination business. 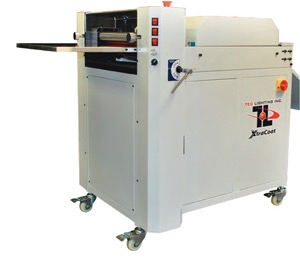 Laminating films do offer a more rigid protection of your documents. They also provide some unique touch elements that you may not get with a UV coating. There is a lamination film whose touch would certainly set it apart from anything you may find in a stack of direct mail. Setting up lamination jobs are pretty easy as you only have to change the roll on your machine. There is no clean up and maintenance on your machine is once every month versus after every use on your UV coating machine. UV coating as a cost per document is far lower than laminating film. 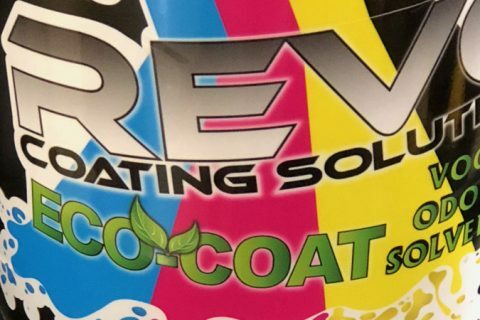 So, if your client’s marketing budget is limited, UV coating will be the cheaper solution for them. Laminating film for all its advantages is more expensive per document. 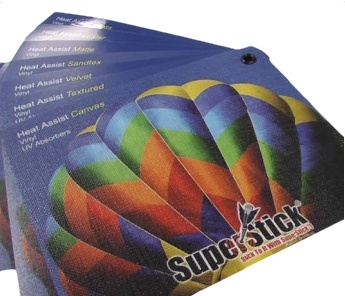 If budget is not an issue and your customer wants to project a quality branding image, a laminating film is perfect.